The 3D feed of the Olympics is the most ambitious 3D broadcast in history. It employs 50 3D camera rigs, manned by 80 souls who are split into three teams, which scurry around London from event to event. Obviously, it's incredible to watch, but is it enough to make the effort and cost of watching in 3D worth it? Like super hero movies, sports lend themselves unbelievably well to 3D. When it's well done the technology brings you closer to the action. Who doesn't want that? I spent some time watching men's gymnastics on Panasonic's rad VT50 3DTV. It's a hypnotic experience. Soon after your eyes adjust to the glasses, you're lulled into a trance. The 3D feed is shot completely differently than the regular feed. Videographers use lower, closer angles that are supposed to make you feel closer to the action, and it works. But once you walk away, you forget about the spectacle. It's overshadowed by the impressive athletic prowess. Plop 3D in front of people, and they'll take it, but the better question is who actually cares enough to go out of their way to watch sports or anything else in 3D? The Olympics don't need any magical gadgetry to be fun. It's the Olympics for Lochtesake! Will the tech ever get so immersive and powerful that you'll be willing to shell out for a 3DTV? Even if the TVs get cheap enough that everyone can afford them will anyone bother to put on goofy looking specs to enhance the experience? Habits are harder to change than you'd think. The Olympics are supposed to be a proof of concept for 3D, and people in the industry are paying very close attention. Panasonic put up all of the money and gear for the 3D Olympics feed, and the Olympics Broadcasting Company offered it to cable and satellite operators in the US for free. Panasonic North America CTO Eisuke Tsuyuzaki told me that he's on the phone every day giving notes on what he notices and that the teams in London are constantly tweaking the feed to make it better. That's an impressive commitment to the technology. Remember, 3DTVs are still relatively new. 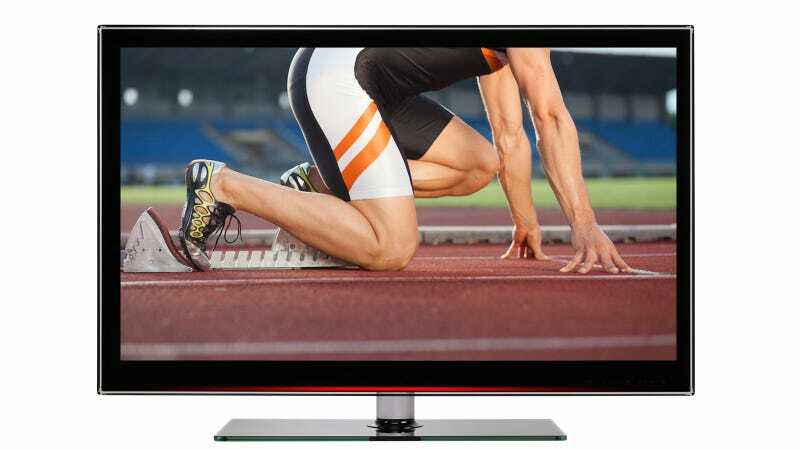 Different TV manufacturers still can't agree on the best way to deliver the product. HD was a quantum leap in part at least because you can reap its benefits with the naked eye. 3D glasses and the cost are turn have turned out to be a bigger barrier than anyone anticipated. People are cooling down to the gimmick. Consider the movies as an example. Sure Avatar was an incredible 3D experience unlike anything anyone had seen before, but just a few years later Christopher Nolan refused to shoot The Dark Knight Rises in 3D. It just wasn't worth it to him because he didn't think audiences cared. 3DTVs aren't going anywhere, but if the Olympics prove anything it's that the technology's very far from hitting the mainstream the way HD did. Panasonic anticipates that by the end of the year, the industry will have sold some 7 million 3DTVs. Basically every Blu-ray player these days is 3D compatible and there's no shortage of 3D Blu-rays you can take home. And yet hardly anyone bothers.